264 p., 18,1 x 25,4 cm. 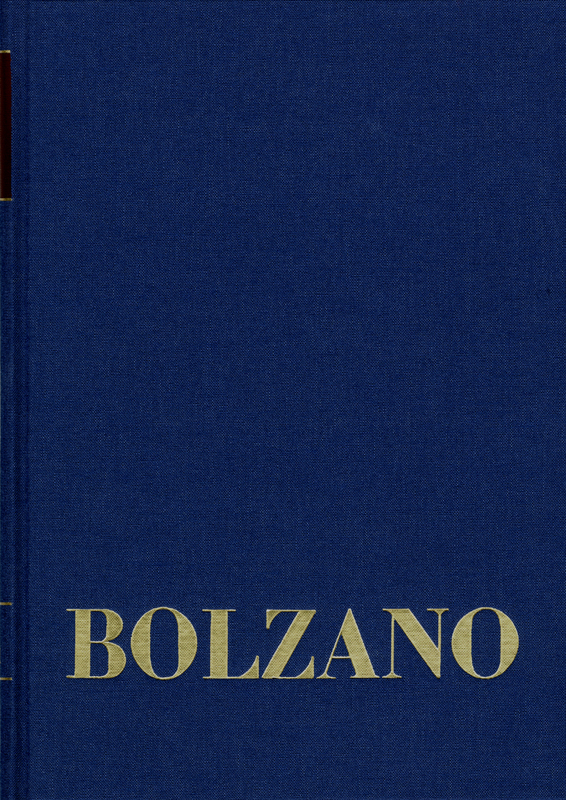 Due to the increasing popularity of the edification speeches, 41 of the 51 speeches which Bolzano held in the academic year 1808/09 have been handed down as transcripts and 7 of them as written notes, most of them several times. Two of these are autographs. There are only three texts (numbers 1, 2 and 4) which were lost and these are documented in an autographic index. The ratio of homiletic speeches to generally edifying speeches was the opposite of the first four years (and remained this way until the end of Bolzano’s professional career): Approximately one third of the speeches dealt with exegesis, primarily on important church holidays, and two thirds dealt with educational, ideological and political subjects.